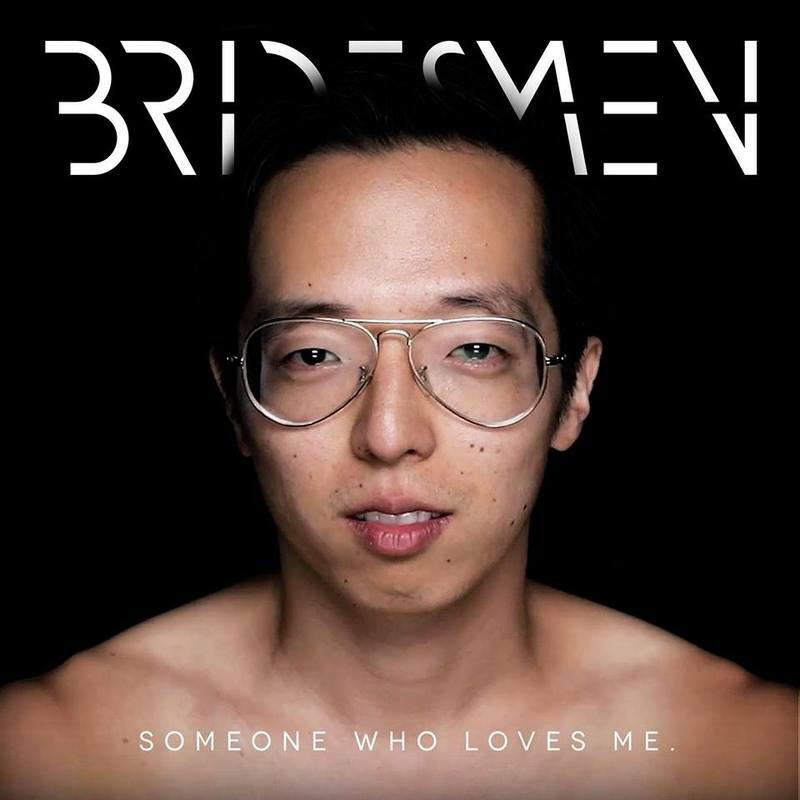 Bridesmen is Los Angeles-based Kenton Chen, an indie neo-soul, R&B singer/songwriter who encourages others to find power within themselves, and use compassion to enact change. Chen strives to explore the darker side of human nature, the dichotomy of morality and how to be a good person in a world that ostracises you - like a ‘bridesmen’ at a wedding. We caught up with Kenton to chat his musical mission and most recent single ‘Someone Who Loves Me’. We have a place in this world, if we choose to embrace our role as bridesmen. My father taught violin at home growing up. I grew up playing violin in orchestras and singing in church. In high school, I joined the men’s chorus and auditioned for Into the Woods with my best friend. We played Jack and Little Red Riding Hood, and the rest is history! Growing up? I listened to a lot of Christian artists, including Steven Curtis Chapman, Rachael Lampa, and Crystal Lewis. Later on in my youth, my guilty pleasures (as it was secular music) was Ella Fitzgerald, Nancy Wilson, and Bette Midler. I wanted a distinct band that was separate from my collaborations with other artists, a world that I could make my own statement. It hit me that life is often like a wedding. We often don’t feel like we have a place in the ceremony, or we’re never going to be in the center. What I want to embrace, and thus explore, is that feeling that we are all bridesmen - that in that intense isolation amidst all the fancy customs, we can choose to stay, we can choose to love, and we can choose to overcome. Janelle Monae, Erykah Badu, Childish Gambino, Laura Mvula…they are creating art that really speaks to me, that shines light and gives strength to people who often feel marginalized. And not in a purposefully inflammatory way - but a positive, “stand in your power” kind of way. You’ve performed with artists such as Katy Perry, Kesha, Sara Bareilles, Mary J. Blige and Jennifer Hudson. What did you learn from them? Be kind. Be professional. Be on time. Focus on the work. The rest will follow. You toured with Portugal the Man. How was that? They really are great guys with humungous hearts. They actually remind me a lot of Young the Giant, in the sense that they use their platform to incite political activism. There is a moment in the show, where I remember looking up at the screen to a huge block letters thanking their fans for having the hard discussions with their families over Thanksgiving dinner. It’s a really exciting, inspiring moment. You’ve also worked with Postmodern Jukebox. How did that come about? My friend Martin was working for Scott at the time, and a background singer dropped out of a video they were shooting that day. I think it was the “Hey Yeah” video…Anyway, I happened to be in LA at the time, not really knowing what I was getting myself into, but I said Yes! A few videos later, Scott asked me to sing solo in my own video, then go on tour…it’s been a wild ride. Other than Beyonce? Lol. Janelle Monae for sure. I just respect and love her so much. Her Cold War video changed my life. Tell us about your single ‘Someone Who Loves Me’. What’s it about? So, I wrote in my journal, “I just want someone who loves me.” It’s not original, in fact, probably the least original thought other than “how will I survive tonight.” But it rang true for me - and I wanted to be raw and honest about that. I’m not trying to create anything life-changing in this song except be honest. We all love, we all get lonely, we all just need a little connection with each other to get by in life. This song actually began a few years ago in college. It’s gone through multiple changes, rewrites, all the way till the end. I recorded most of it with my friend/producer Ryder in his apartment in Chinatown. How does ‘Someone Who Loves Me’ represent your style? It has elements of jazz, pop, & R&B in it, but in the end, it’s about the simple melody and message. And that’s basically the musical interpretation of me. I’ve undergone a lot of training to be the singer, actor, human that I am, but in the end I am just a storyteller. What’s the concept for the video? These are real people. Real friends of mine. And what they share is not manufactured, it’s not some elaborate story we concocted. The director and I - we just set a camera in front of each person and told them to think about their past and what they wish they could tell their younger selves. Expect a lot of that. And some ugly crying from me :). What are you hopes for ‘Someone Who Loves Me’? People need to hear/watch this video! It’s just so important to me - my hopes are that it continues to have a life of its own, even as I make more content. I want everyone who watches it to know that they are loved!! And that we are all in this together. I have a lot of material waiting to be released this year - we’re just finishing up with production now! Yes! I have a show with Scary Pockets in LA/SF end of January, and I’ll be booking a lot of LA shows in the coming months. I would love to find someone who loves me… is that corny? Watch the video for ‘Someone Who Loves Me’ on YouTube below. For news and tour dates go to kentonchen.com.